Original Vermont Grass Roots and Culture. Heirloom Seeds is a band that lives for tradition and culture from the organic heirloom food that they grow to the Roots Reggae music they’ve learned straight from the elders in Brooklyn, Jamaica, and West Afrika. The Spirit that is ‘Reggae’ or ‘Regal’ music is an education of agricultural and nutritional self-sustainability, rural independence, multicultural unity, art, and mysticism. That is the message of His Majesty Haile Sellassie I of Ethiopia in his speeches and writings. 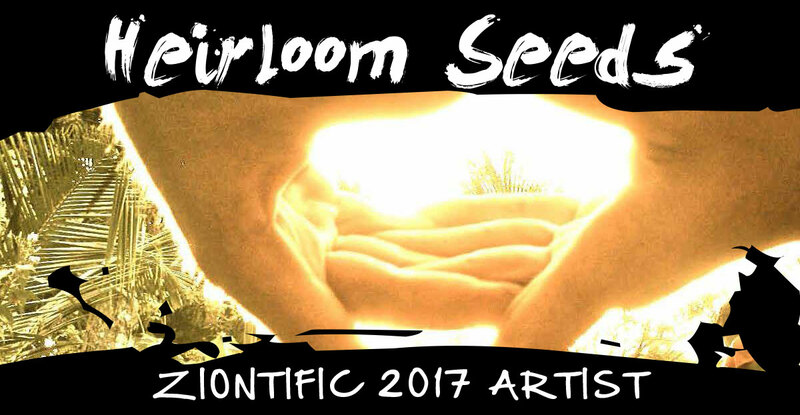 Heirloom Seeds stays true to the old school sound and philosophy a refreshing listen for all ages. The rhythm section is locked with Drummer Brian West and bassist Jay Cook running the dancehall Kingston style. Composer and Multi-instrumentalist Daniel Rosow chants in honor of cultural diversity and biodiversity. Both he feels are being threatened by GMO cross-pollination and pesticide use. Instead he redirects us toward sustainable localized living and the boycott of non-organic produce and products.